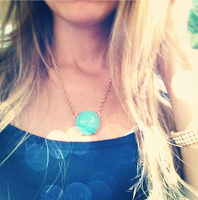 I was able to review the Turquoise Single Drop Bubble Pendant (pictured above). I am a big fan of turquoise. This is the perfect accent piece for any wardrobe. My husband loves the cut of this necklace. I love this "Fina Bracelet"
Want to OWN some ILY Couture of your own? 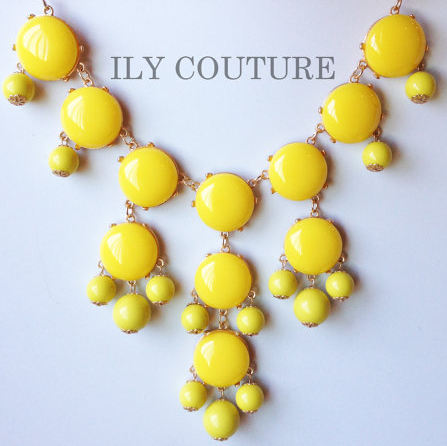 a Rafflecopter giveaway Giveaway will end July 23rd at 11:59 p.m. EST I was given an ILY Couture necklace to review. No other compensation was received. All opinions are my own. This promotion is in no way sponsored, endorsed or administered by, or associated with, Facebook. We hereby release Facebook of any liability. Winner will be contacted by email and have 48 hours to respond after the giveaway ends. If you have any additional questions - feel free to send us an email! I love those bubble statement necklaces! I would pick the Turquoise all the way! 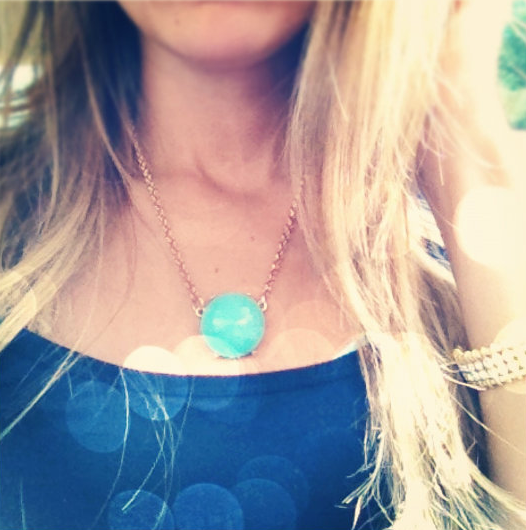 Turquoise statement necklace for sure. Love these! The Fina Bracelet in Ivory is stunning! I love the red and pink necklaces!! I love the Ombre pink and yellow necklace! i like the la flor green necklace. Oh love the Fina Bracelet. So pretty and unique! I'd pick the orange statement necklace! In love! I LOVE the red and gray statement necklaces! I love the turquoise Fina Bracelet. I like the Fina 3 pack bracelets. I really love the "Black Statement Necklace".